The way you picture yourself will affect the whole of your life. Many people feel ugly, unwanted, unloved, unproductive and unappreciated. Often the picture we have deep down inside is a picture given to us by parents, teachers and peer groups. Maybe you have a picture of yourself based on the comments of others. whole person. He made you unique. He wants you to drop the mask you wear and be real. Nancy Bodie shares the stories of the Bible and stories from her life so that you can discover the real new you. 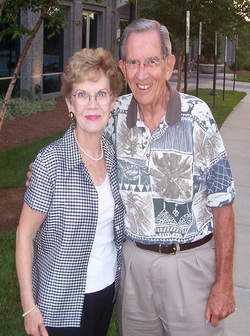 During their 60 + years of marriage this couple has drawn upon God for their help and strength. After navigating through years of a troubled marriage, and experiencing the grace of God’s provisions, they started sharing with others what He had done for them. Over the years they have been used by the Lord Jesus to share His way of life that resonates with people who are making their way on their own journey. Thousands of people have seen situations in their own lives change as they began to walk the way of the Lord. The Bodies have committed their lives to walking and teaching the lessons of life they have learned from God’s way presented in the Bible.